the hearts of many gamers including myself. year, Razer has launched the Battlefield 4 collectors edition series which features Battlefield 4 as its design theme. updates such as the Battlefield 4 theme embedded across the keyboard, a new orange lightning scheme and ofcourse, superior response and ease of use with the Razer Synapse 2.0 utility. mechanical keyboards from Steelseries, Roccat, Rosewill and Ducky. In total, there are 6 key aspects of the Razer BlackWidow Ultimate. needed to activate full features of product and for software updates. After activation, full features are available in optional offline mode. be much of a problem. Each key on the Razer BlackWidow Ultimate is back-lit which is perfect for low lightning conditions. 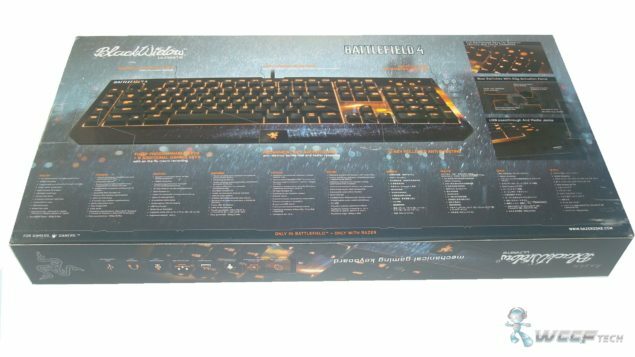 Razer opted to choose an orange LED color for the keys since it matches the Battlefield 4 design theme engraved on the key-board. With the technical aspects covered, let’s dive into the unboxing of the keyboard. 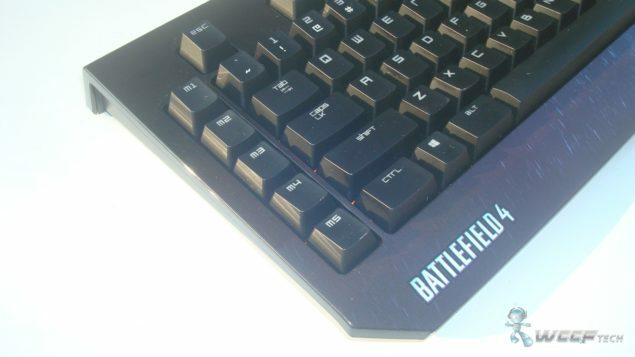 some adjustment which include a new Battlefield 4 theme design across the package. who want to feel the mechanical keys before making their purchase. technical specifications in several different languages. key-code for the Battlefield 4 dog tag. of an issue though since the orange lightning scheme looks good with the overall Battlefield 4 theme design. was the illuminated Razer logo embedded at the bottom of the keyboard. innovative with the logo since it would be more fun that way. socket on the right side of the keyboard. you would use after a day or two with the Razer BlackWidow Ultimate. Let’s have a look at what the Razer Synaspe 2.0 has to offer with the Razer BlackWidow Ultimate 2013 Keyboard. 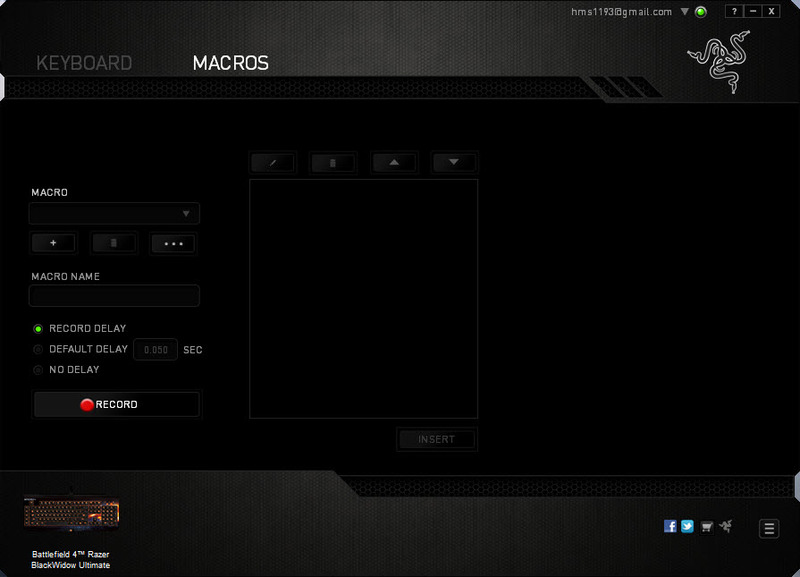 Last up, you can see the adjustment panel which allows you to set hot-keys for each individual key. recently came on the PC. 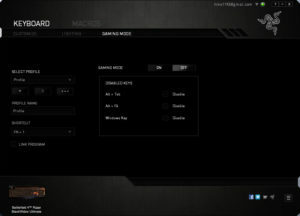 BlackWidow which is strictly built for the gaming community. and its easy for me to differentiate between the CTRL and M5 keys. the bottom which help it keep in place which is actually a good thing. player in any gaming title. improving your skills with its fully mechanical design approach. programmable options available through the Razer Synapse 2.0 software. Its going to be a great week playing Battlefield 4 with this beauty!